No procedure is foolproof. You can suffer from a variety of dental implant problems. Since the development of the first implants in 1952, technology has worked to improve the procedure. It has tried to provide us with perfect teeth and to replace lost and destroyed teeth with minimum discomfort. The modern solutions ensure minimal risk. They also have resulted in a lower rate of dental implant failure. In fact, the current success rate, according to the American Association of Oral and Maxillofacial Surgeons (AAOMS) is 95%. Dental implants restore confidence, establish a sense of well-being and are ideal replacements for lost teeth. Dental implants restore optimum oral health, as well as confidence and hope to those who have suffered tooth loss. They are one of the most advanced and natural forms of cosmetic procedures. Yet, this does not mean they are without risk. Dental implant problems and health issues can result from this treatment. In a 2005 article published in the International Journal of Oral Maxillofacial Implants, the researchers noted increased rates of failure in certain instances. They remarked, "Patients who were over age 60, smoked, had a history of diabetes or head and neck radiation, or were postmenopausal and on hormone replacement therapy experienced significantly increased implant failure compared with healthy patients." This does not contradict the perception of dental implant procedures being safe and successful for the majority of individuals. 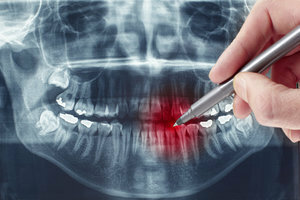 The research simply points out who should reconsider their options for tooth replacement. Any of these characteristics traits may increase the risk and potential dental implant cost physically if not financially. In rare instances, the implant is followed by medical and dental complications that may or may not relate to the actual implant. Among these are diabetes and connective tissue diseases. Complications of any sort can increase the overall cost of dental implants. To ensure the dental implants cost includes any unforeseen results, talk with your dental surgeon. If you wish to avoid dental implant problems, talk to the dentist and his or her team. Be open about any health issues, potential risks and even fears. Learn what may be able to turn your currently affordable dental implants into expensive nightmares. Carefully consider all angles and prepare for them. Remember the failure rate is low for this procedure, but it never hurts to follow the Boy Scout Motto: "Always be prepared."